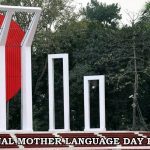 One of the brightest flashes in Bangladesh’s history in February, the month of language, the month of self-sacrifice, and simultaneous month of commemoration of glory and courage. When the memory of great language martyrs was remembered for their romance and their respect for them, the portrait of the martyred monument rushed to the eye. 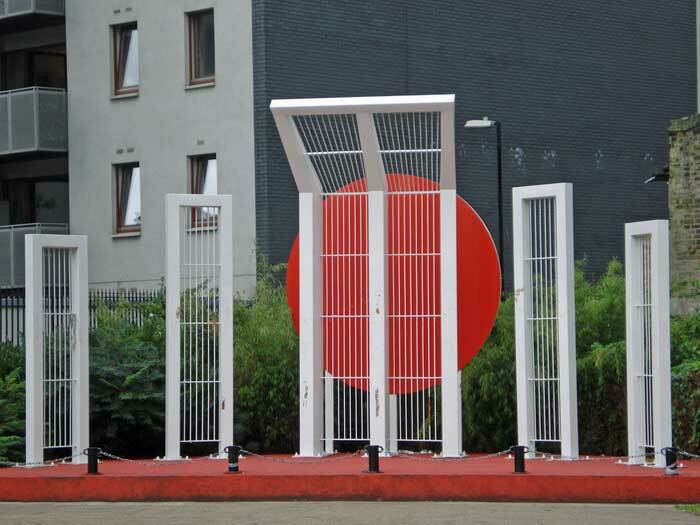 Today’s Shaheed Minar is not the first to say that many are unaware of it. Earlier Shahid Minar was created several times. Today’s text is a testimony to the important history surrounding this great monument from the past to the current journey. After the February 21 incident, it was decided to build the first Shaheed Minar on February 22nd. Work begins on February 23. Despite the curfew, the work began on the 23rd of February. 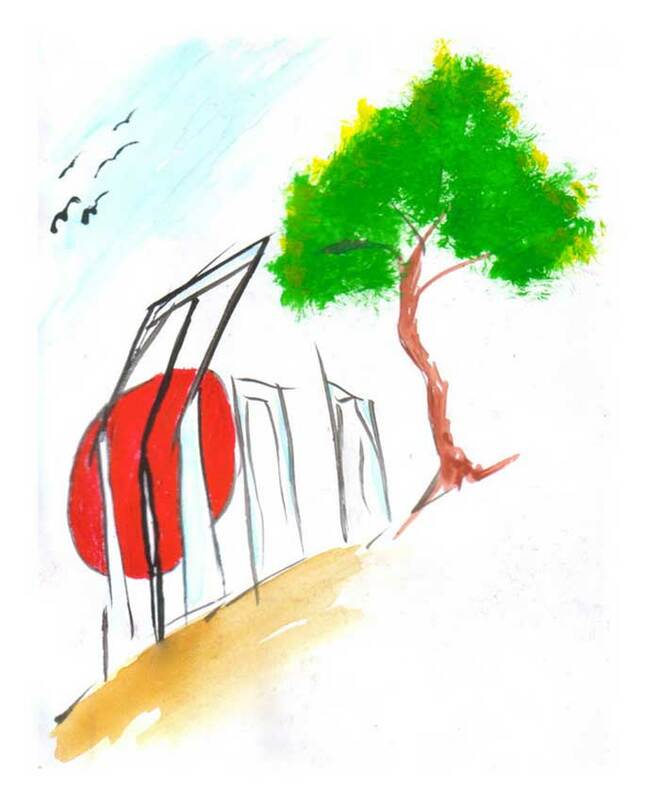 The Shaheed Minar was created by the students of Dhaka Medical College. After the work of Badrul Alam and Saeed Haider, from the afternoon to the whole night, the construction of the Shaheed Minar is completed. GS Sharfuddin supervised the work and cooperated two royals. This memorial made by the students took place on the eastern edge of the 12th Shade of the student hostel (Barrack) in the southeast corner of the present Shaheed Minar compound. The Shaheed Minar was constructed at a height of 10 feet (3.2 m) and 6 feet (1.8 m) wide, with a cement made from the brick and sand for the medical college reform and expansion and the cement from the warehouse of Piyaru Sardar of Old Dhaka. Peeru Sardar was one of the panchayat chiefs of old Dhaka, if he asked the students to help him, he would help with construction raw materials. After dawn, it was covered with cloth and a piece was written in front of the paper – ‘Shahid Monument’. 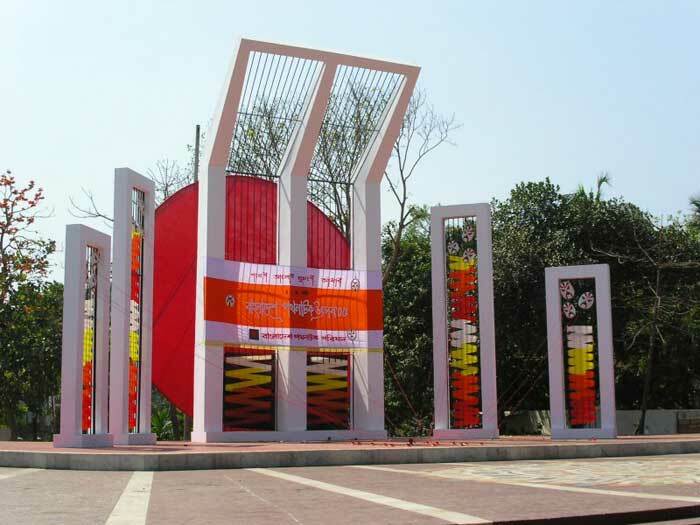 Shaheed Minar was unofficially inaugurated by Mahbubur Rahman, father of Shaheed Shafiur, on February 24 morning. Already news of Shaheed Minar was published in the daily Azad newspaper titled ‘Shaheed Bir’s memory’. Then on February 26, Shaheed Minar officially inaugurated the daily Azad editor Abul Kalam Shamsuddin. In the afternoon the police surrounded the medical college hostel area and broke the first martyr’s tower. 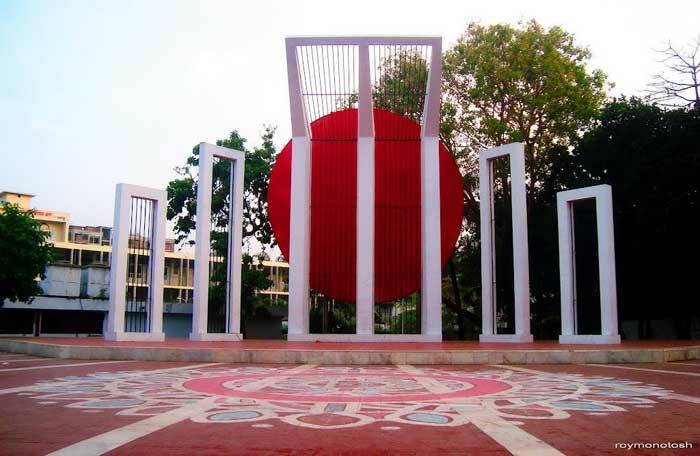 Later, a monument was constructed in Dhaka College. But it was also broken down by government orders. Small memorial monuments emerged across the country. According to Golam Arif Tipu, who was present at the time of making the martyr’s minaret, the decision to build this martyr minaret was made on 21st February and it was made one night. 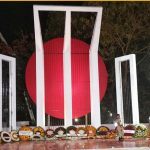 Although he did not make any effort to prove that this is the first martyr monument, he expressed the opinion that the Shaheed Minar of Rajshahi was created before Dhaka as well. 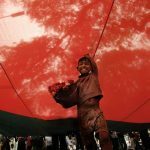 On February 21 next year, martyrdom day was celebrated nationwide and with a red paper, a portrait similar to that of the former Shaheed Minar was created. Then it was covered in black cloth. From there, the students for the first time went out of their way, thus, the birth of Pratapatriyari began. The next year (1954) was re-released in the same form as the 21st February. The United Front government came to power on April 3, winning the majority on March 10 in the same year. 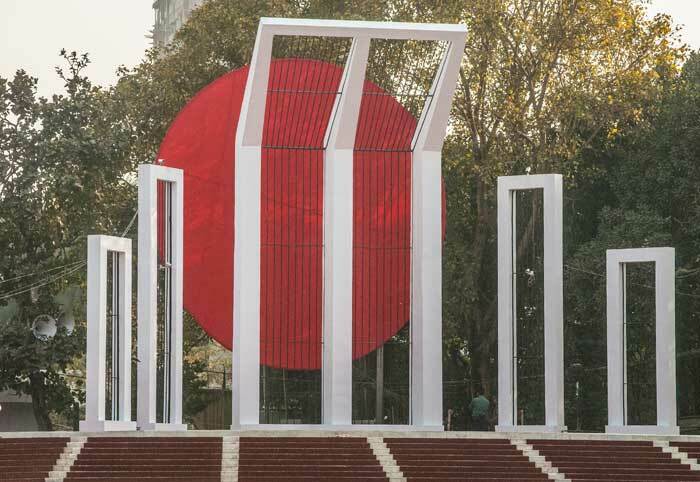 In the May 9th session, they announced that according to their 21st point, the Shaheed Minar will be rebuilt and on 21st February it will be called ‘Shaheed Day’. But they failed to implement this decision and on May 30 the government came down. However, in 1954 a small monument was constructed which was inaugurated by the dramatist Nurul Momen. 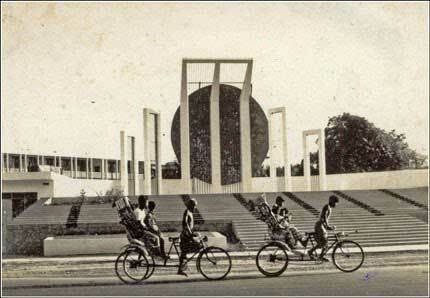 The construction of the Shaheed Minar in large part started in 1957. In 1956, full minister Abdus Salam Khan, in the post of Chief Minister of Abul Hossain, selected a place in the Dhaka Medical College hostel premises to build the Shaheed Minar. 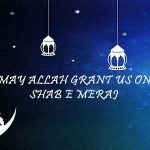 Later, there was a minister to lay the foundation stone of the Shaheed Minar, but without the public’s objection, the foundation stone of Shaheed Minar was established with Basiron, the daughter of language Martyr rickshaw driver Awal. In 1956 A.K. Through the initiative of the United Front led by Fazlul Huq and Awami League, martyrdom day was celebrated throughout East Pakistan and in this, the construction process of Shaheed Minar became vigorous. It is planned to build the Shaheed Minar Complex with a vast area of the Dhaka Medical College hostel. Hamidur Rahman and Novara Ahmed were given the responsibility of architectural design. The construction work started on 9th November, 1957. The construction work was delayed due to the issuance of martial law. 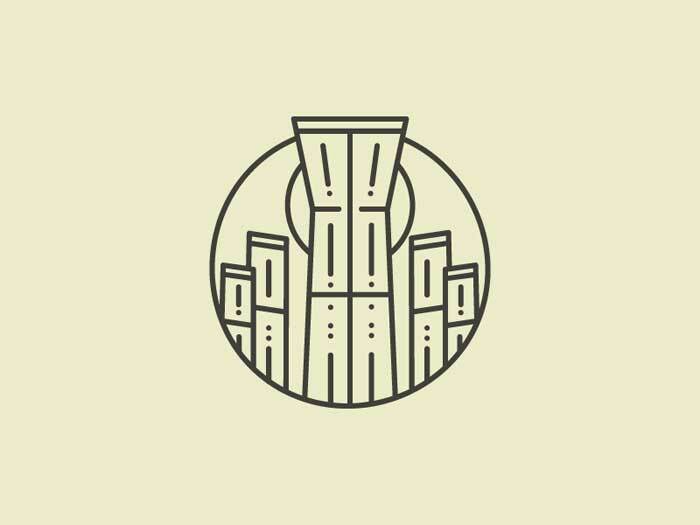 In 1962, under the leadership of Azam Khan, the governor of East Pakistan, asked the vice-chancellor of Dhaka University to change the design of Shaheed Minar and finish it briefly. On 21st February 1963, the memorial monument of Shaheed Minar was inaugurated by Hasina Begum, mother of language scholar Barkat. Although the complete complex work was not completed yet. 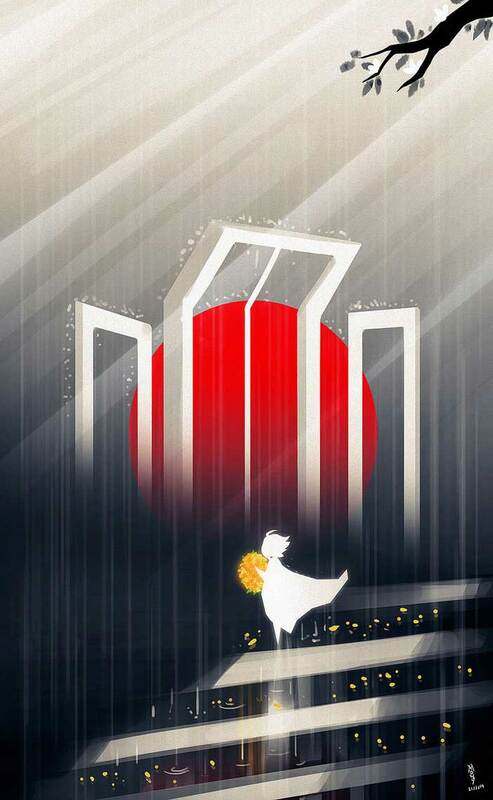 The plan to build the martyr minaret with Hamidur Rahman and Novara Ahmed is to refer to the half-rounded column mother and its orphaned children on the central altar. To indicate the reflection of the sun’s light in the eye, it was meant to be placed in yellow and dark blue-colored glass columns. The floor was supposed to be a marble stone that shows the changes in the shadows of these columns. The history of the language movement was supposed to be mentioned in a wall of 1500 square feet (140 square meters) basement under the altar. There was talk of setting up a railing monument in Bengali. It was meant to draw two impressions of red and black colored legs, which indicated two different groups who were opposing the language movement. An eye-shaped spring, a museum and a library were in Hamidur Rahman’s design plan. 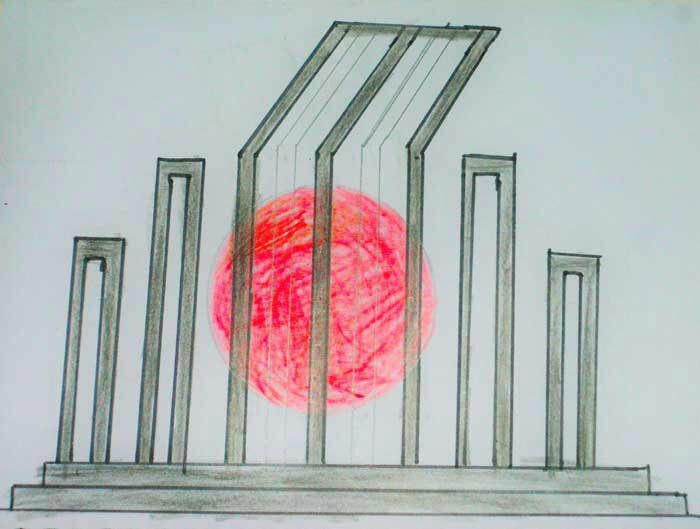 Hamidur Rahman designed the Shaheed Minar in such a way that it could survive in the tropical climate. Before issuing martial law, the foundation, altar, some columns, rails, footprints, painted walls and other works were completed. When inaugurated in 1963, most of Hamidur Rahman’s design work was incomplete. 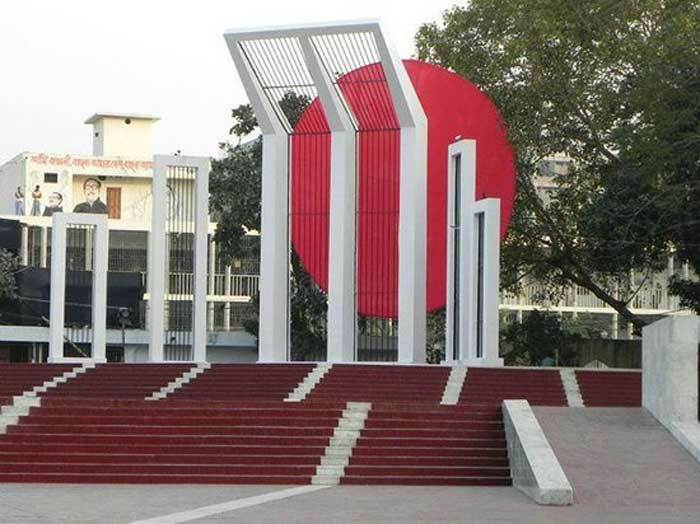 During the massacre operation Operation Searchlight on March 25, 1971, Pakistani occupation forces destroyed the Shaheed Minar and damaged the memorials on the ‘Mosque’ signboard. After the independence of Bangladesh, in 1972, the committee was formed to rebuild the Shaheed Minar under the leadership of then President Abu Sayeed Chowdhury. They want to work quickly based on the design of 1963. 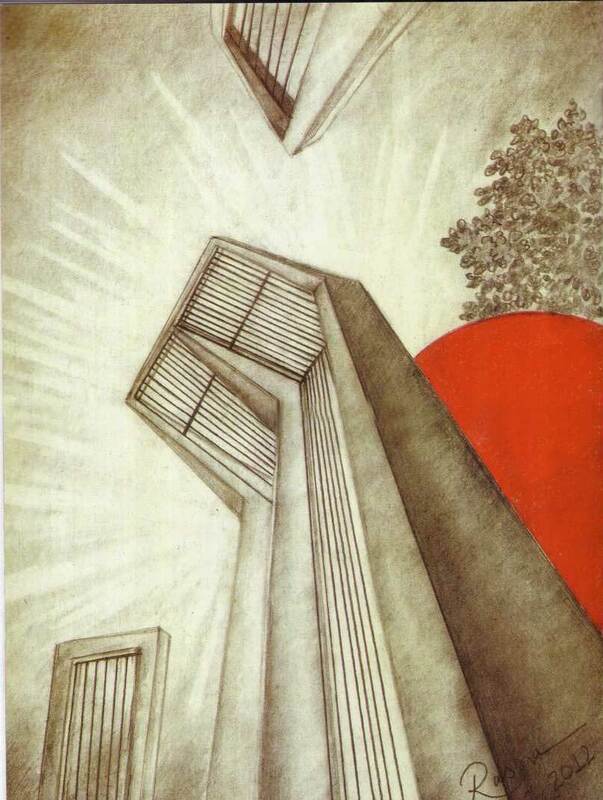 Then, in 1976, a new design was approved for the Shaheed Minar, although it was not fully implemented. According to the new design, four small and one large column on the foundation of 1500 square feet indicates the mother and her orphaned children. There will be a red sun behind it. These were built by the Urbal marble stone. The white color that will be used on the stairs will give a beautiful majestic beauty. Colors in the wall will be written by the famous poets. But due to the haste, this plan could not be implemented properly. While the construction of the columns is less than the length fixed by the plan, and the head of the main or larger column is made more than the plan. Besides, the work of various parts of the monument was not done properly. Then in the 1980s, Chief Architect SHM Under the leadership of Abul Bashar, the expanse of the Shaheed Minar was extended from the triangle to the quadrilateral. 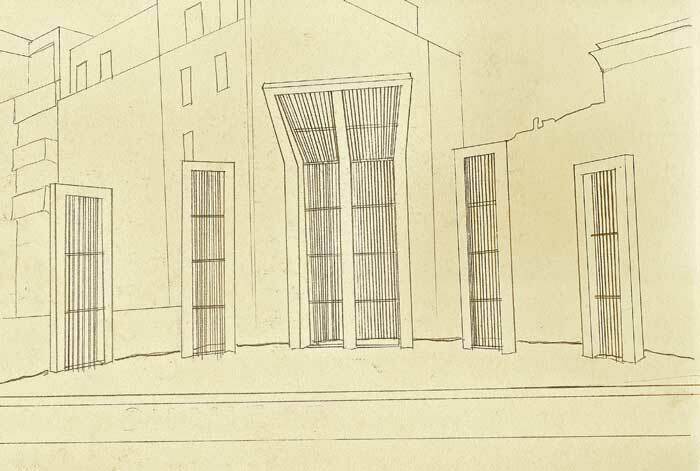 In this new plan, Hamidur Rahman’s design was canceled and part of the basement was closed. 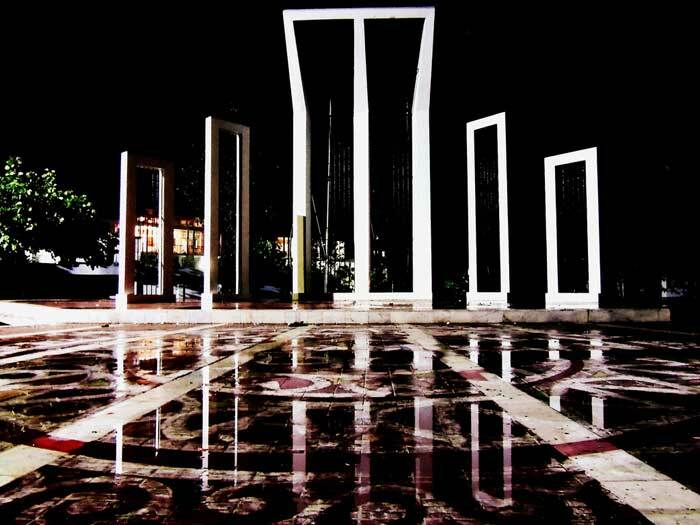 In 1983, the Shaheed Minar received the present form, the marble stones were used in some damaged areas of the wall. According to the planning of that time, there was also a construction of a museum and a library in the Shaheed Minar area. 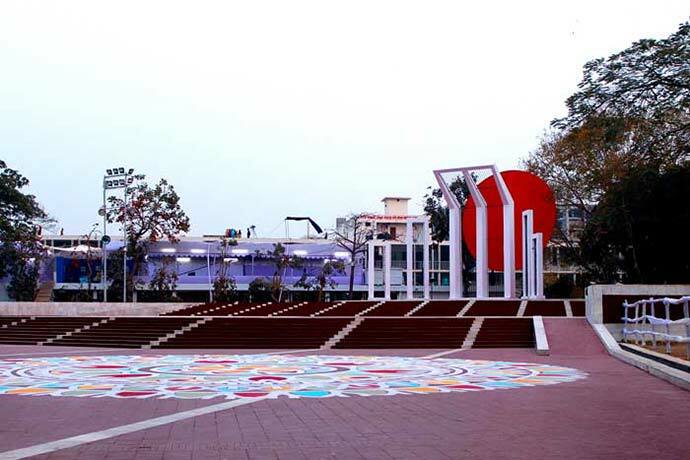 Then on August 25, 2010, the High Court gave nine directives to the management and maintenance of Shaheed Minar and ordered to construct the museum and library. The height of the current martyr tower is 14 meters (46 feet). Shahid Minar, the Shaheed Minar (the Shaheed Minar), established in Rajshahi University, Shahid Minar, University of Patuakhali Science and Technology University, Khulna University of Engineering and Technology, Bangabandhu Agricultural University, and Shahid Minar (Kolkata), built by Major General Sir David Ochterlony in Calcutta, India. 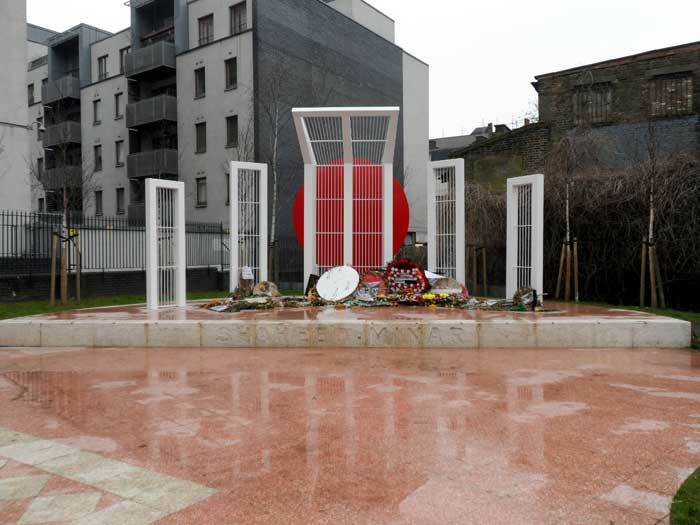 S Mbhake the Shaheed Minar was named), East London park Altaf Ali Shaheed Minar, built Shaheed Minar etc. Oldham Westwood. 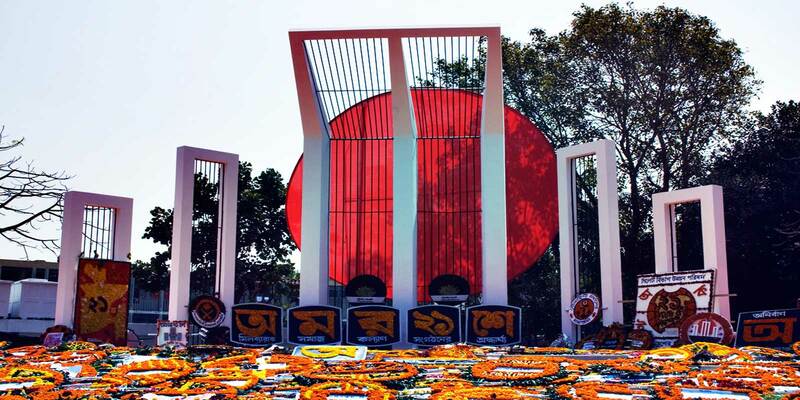 The symbol of patriotism and heroism, the sacrifice of the great language martyrs of Shaheed Minar. It is responsible for the maintenance of the government as well as citizens as well as us. 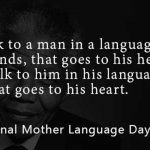 As long as Bengali language and Bangalaya will survive, memories of great language will remain immortal in our midst. 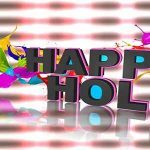 So this respect should always be done only in the months of the month that the language does not rotate around February, it is desirable. 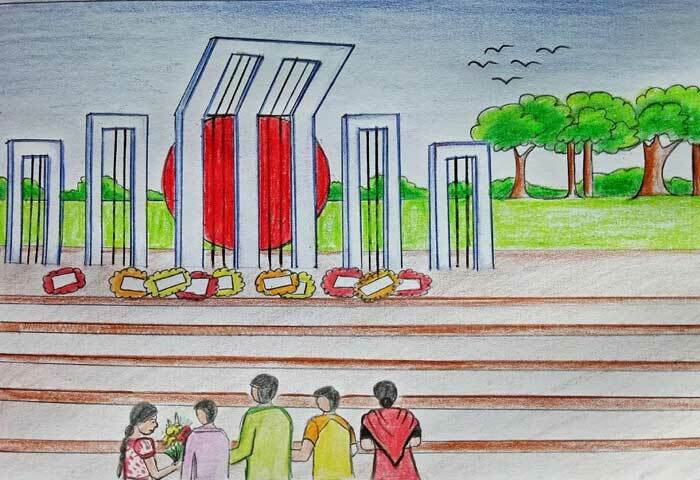 In the history of Bangla and Bangladesh, the memories of the great language martyrs should be remembered forever, as well as eternal, as well as to declare it as a symbol of humble reverence, Shaheed Minar.